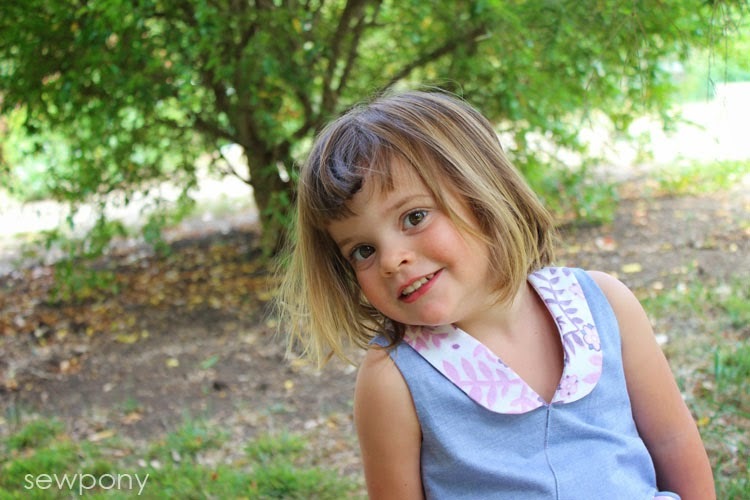 Today I am sharing Emily's pillow case dress. The floral component of the dress is made from a vintage pillow case. 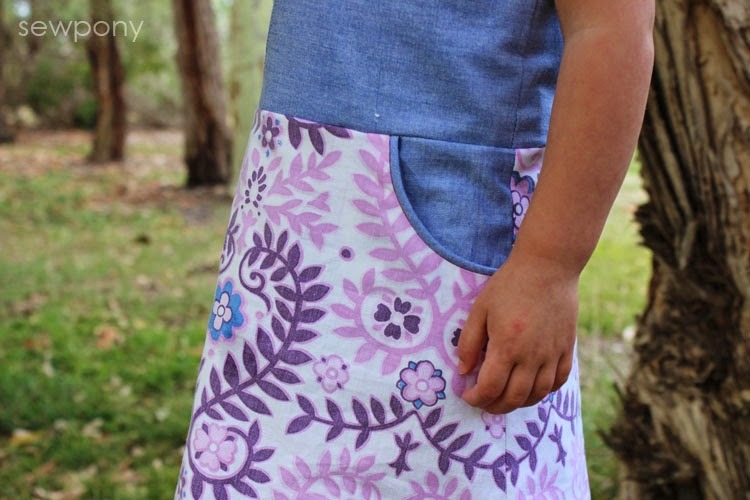 This is another of my unfinished projects from 2014 - sewn, worn, photographed and now blogged! 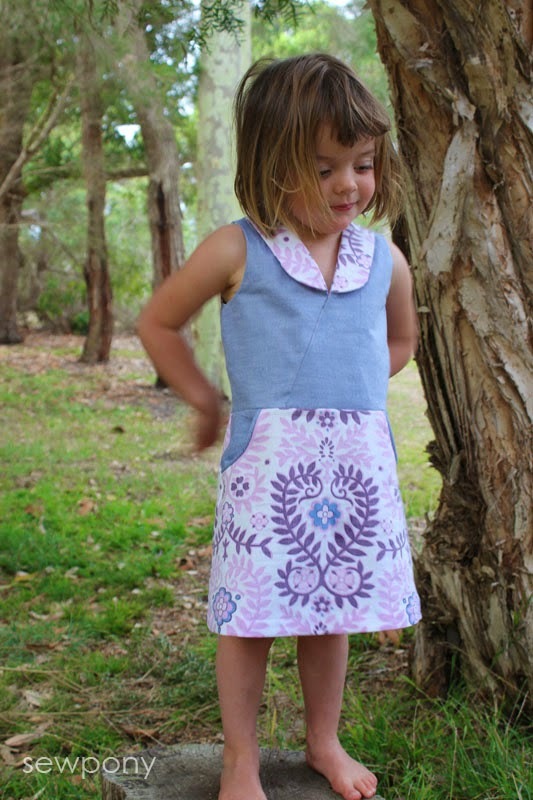 The pattern is my Sunday picnic dress with a rounded collar. 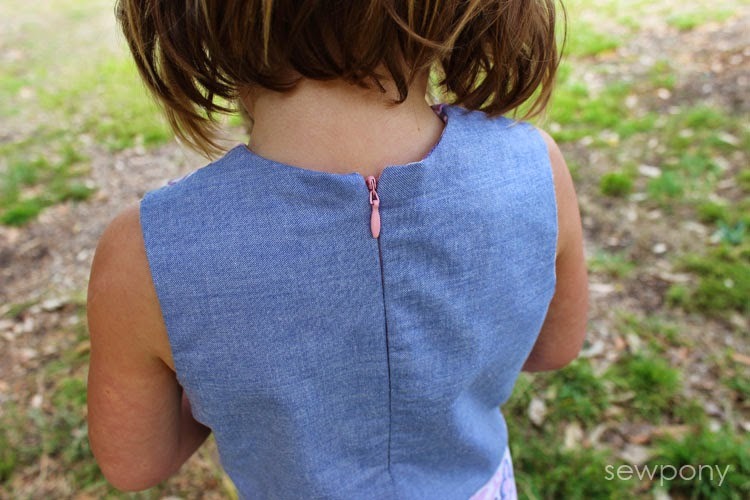 The bodice and pocket linings are a soft blue chambray I bought at Spotlight. 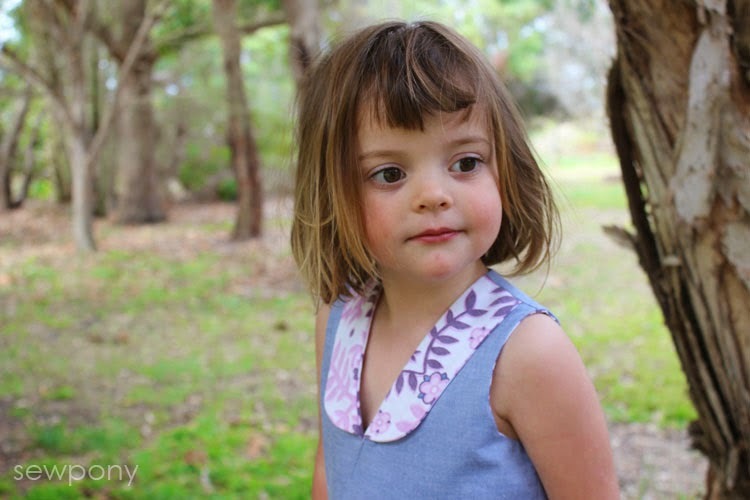 Although the weather is getting cooler here now, Emily wore this all day on Saturday while we explored the rugged beach near our house wearing tights and a cardi. I'm really glad I got this dress finished. 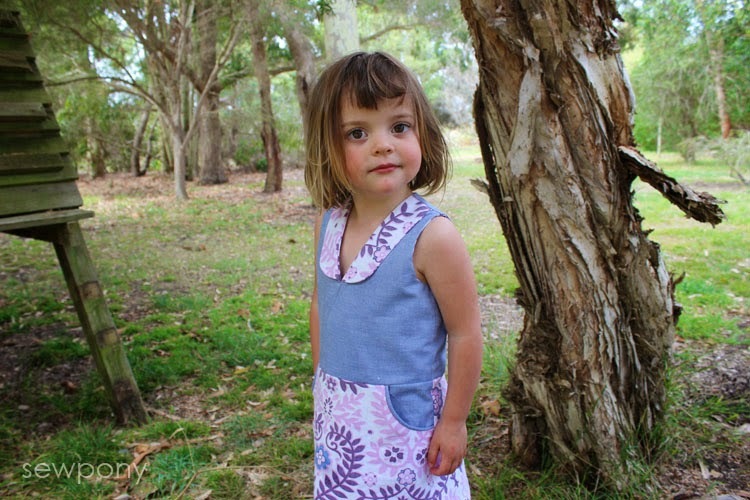 We don't have any more girls to hand the dress down to so I had to finish it in time for Emily to get some wear out of it! Oh, your girl is just so cute. And her dress is super beautiful. Thanks Jenya!! I do love vintage pillowcases on the girls' beds too! 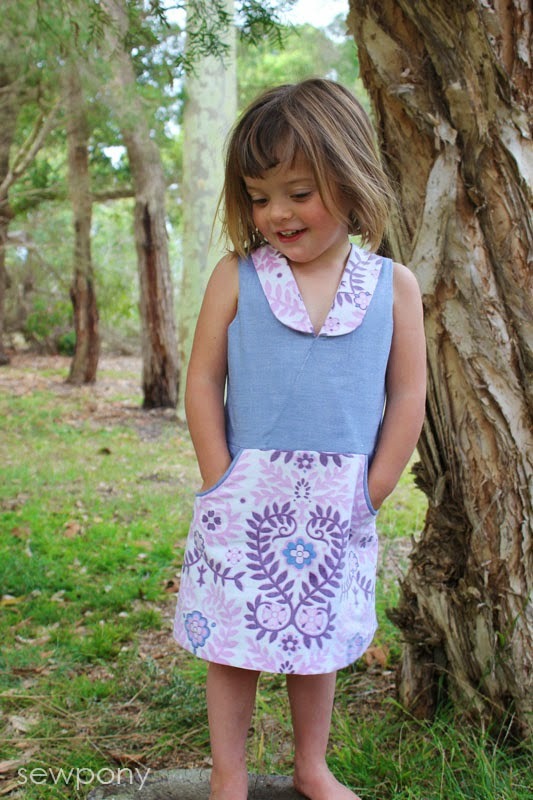 That is a gorgeous dress for a lovely little girl! Cute Serena. Yes lots of treasures usually covered in sand are emptied from our pockets!